We are often asked about RCM compliance for a product with wireless telecommunication modules. Such as 2G, 2.5G & 2.75G (GSM, GPRS & EDGE), 3G (WCDMA, UMTS, HSPA) or 4G (LTE) modules. Usually, these wireless modules come with existing certifications. With the idea of making the route of compliance for the intended market easier. The biggest confusion comes around how to go about the process of re-evaluating or testing a host product with such a module installed. If a wireless telecommunication module is already RCM marked does that mean no testing is required? If the module is itself is modified, altered or uses different software or firmware. That may impact the modules performance then re-assessment may be required. If the modules used in a manner not in accordance with how existing approvals for that product then it may need re-assessment. If the module is incorporated into another unit i.e. a host. Then incorporated then re-evaluation against the mandated RCM requirements is required. If for any reason that particular combination of wireless module and host is changed. 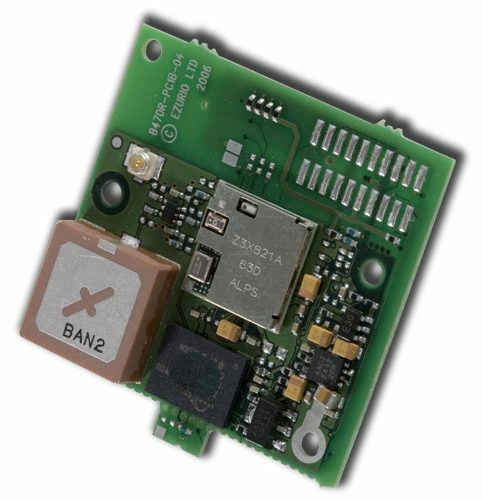 Example, the wireless module is substituted for a different technology or another manufacturer or model of the module. Then re-evaluation against the mandated RCM requirements is required. With the application of compliance for the new host and module combination. All the compliance requirements for the combined product for Australian and New Zealand. Would be the responsibility of the final manufacturer who integrates the module into the final product. This is not to say existing documentation may not be leveraged. And used to show evidence against the required compliance requirements. This may include using existing documentation supplied. As provided by the Australian distributor of the wireless device. After the host device has the module incorporated it will require the evaluation. Including EMC compliance requirements. Other testing depending on the product and the accompanying documentation. As per any product sold in Australia and New Zealand, the applicable mandated RCM compliance requirements apply. And this is the responsibility of the Australian importer or manufacturer. This includes if the product is a radio-communication classified device. Such as Bluetooth or Wi-Fi or if the module a 2G, 3G or 4G module, any product in the scope of the RCM regulatory framework. If you purchase an LTE (4G) module from an Australian company then the compliance requirements must be met by them. As they are the first point of supply within Australia. If you purchase and import the module from outside Australia or New Zealand. Then the responsibility falls on you, as you become the first point of the supply chain. About the implications for operating non-compliant communication devices within Australia. Let’s start with the easiest and most asked topic. RCM Electromagnetic Compatibility (EMC) requirements. EMC testing applies to most electrical and electronic products. There are a few products that may exempt from RCM EMC testing. The product as a whole system must comply with the relevant ACMA approved or listed product specific EMC standard. This may be a product specific or generic standard where no product specific standard can be applied. When a wireless module is substituted for a different module. Then the EMC should be re-evaluated through testing to ensure compliance. If the same wireless module has extensive firmware/software changes that may affect their compliance. Then the EMC/EMR compliance may need re-evaluation. A radio communication device in basic terms is a device that uses radio emissions or receives radio emissions. Used for communicating information between persons and or other devices. Applicable to all products incorporating Radio-communication devices. Including, RF transmitters, transceivers and/or receivers (Telecommunication devices. Such as 2G, 3G and 4G fall under the telecommunication scope of the RCM requirements). Typically wireless radio transmitters, transceivers and receivers sold and distributed through reputable manufacturers, may have Radio-communication compliance testing. Typically in accordance with FCC compliance and CE mark Compliance. One of the main standards used in Australia for Radio equipment and systems relating to Short range devices is AS/NZS 4268. This standard has parallels with both FCC and CE certifications. In many instances reduced or no testing required, for the radio-communication component. With the evidence of compliance based upon available existing test reports. Short range devices include technologies such as WI-Fi, Bluetooth, RFID, key fobs. But does not include 2G, 3G or 4G only products. Most products now incorporate more than one technology such as mobile phones, laptops etc. For all products incorporating wireless RF transmitters. Evidence of exemption or testing is required. An exemption is based upon the transmitter frequency and maximum RF output power. And also the position of usage relating to head and torso of the body. Assessment is done with the module fitted into the host if the unit. technologies that usually required assessment include 2G, 3G and 4G telecommunication Technologies. Used in products such as Mobile Phones, Smartphones. Testing or assessment to ACMA EMR Standard 2014 (same as EN62311) may be required. Usually required for compliance with the Australian standards. Applicability is usually based upon if the product uses greater than 42VAC or 60VDC to operate. Australian standards like AS/NZS 60950, Safety of Information Technology Equipment. May apply depending on the product. If the unit incorporates a 2G, 3G or 4G telecommunication module, then it requires safety testing. By definition, a Telecommunication is a device the uses the transmission of signals. By wire, radio, optical or other electromagnetic systems. Telecommunications Technical Standards for connection to an air interface of a Telecommunications Network. Apply for products that connect to a Telecommunications Networks. Products affected would include GSM, 3G and LTE containing these technologies. For 2G and 2.5G products, the AS/ACIF S042.1 & AS/ACIF S042.3 – GSM Telecommunications Equipment standards would apply. Also “AS/CA S002 Analogue interworking and non-interference” requirements. For Customer Equipment for connection to the Public Switched Telephone Network. AS/CA S003 “Requirements for Customer Access Equipment for connection to a Telecommunications Network” may apply. For 3G (WCDMA, UMTS, HSPA) & 4G (LTE) products the AS/ACIF S042.1 & AS/CA S042.4 – IMT-2000 Telecommunications equipment standards would apply. Finally, a cautionary general Public notice (consumer information). There may be legal implications for operating non-compliant communication devices within Australia. As per the ACMA notice: bringing communication equipment from abroad into Australia. If you require Electromagnetic Compatibility (EMC) testing! For your host product that incorporates Wireless integrated telecommunication modules. For RCM compliance for Australia and New Zealand contact us and find out how we can help.